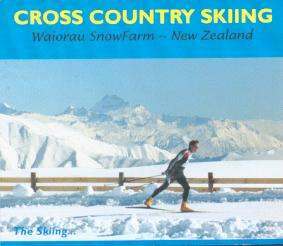 Ski-orienteering is on again at Waiorau Snow Farm: this year on 27/28 July. A warmup and coaching are offered on the Saturday, with a score event (long or short) on Sunday starting after a briefing at 11:00. (In a score event you visit as many control points as you can within a fixed time.) There will be a prizegiving between 2 and 3pm on the Sunday. Pre-entry at $5 is required by 24 July to A Grant, 45 Flower St Dunedin, although late entries will also be accepted. There is a special trail fee of $20 payable on the day, and ski hire is also available at $20/$10. Enquiries to Ph 03 488 3254 or the address above.